Single-family custom-renovated house with a contemporary design sensibility, natural materials, clean lines, sharp edges and filled with light. Six stories with elevator. 12 rooms, 5 bedrooms, 4 full baths, 3 powder rooms and approximately 7,200 interior square feet and 1,400 exterior square feet on 7 levels on a leafy townhouse block off Riverside Park. A building rear facade of expansive windows means that all front and rear windows offer stunning views of surrounding trees and a low, human-scale cityscape. The finished, low-maintenance backyard and roof along with a balcony off the master bedroom offer peaceful outdoor spaces to refuel from city life. A gem of a home in a quiet residential neighborhood. This Upper West Side location affords easy access to some of the most spacious and appealing parts of both Riverside and Central Park, public transportation, shopping, museums and schools. 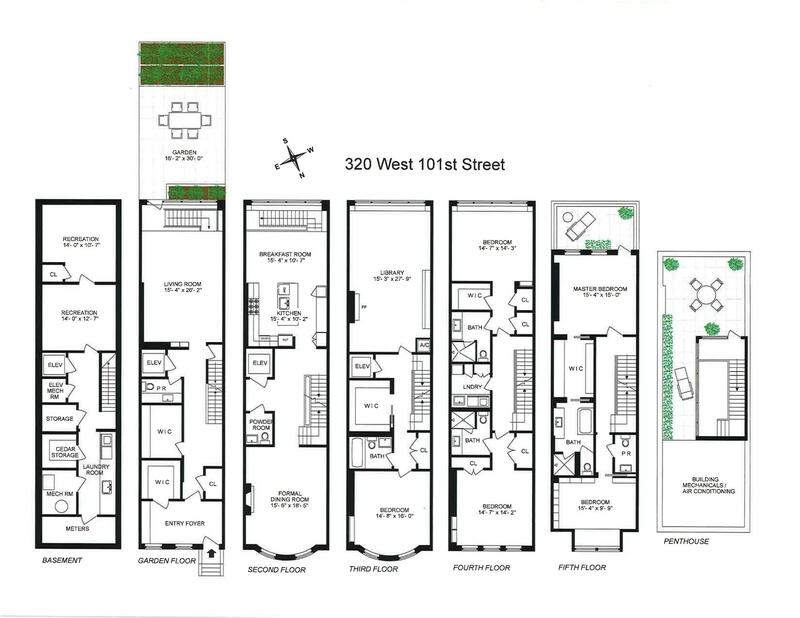 Not a developer renovation, this is the best house on the Upper West Side at this price. This property also benefits from unusually low real estate taxes of $39,588 per annum.